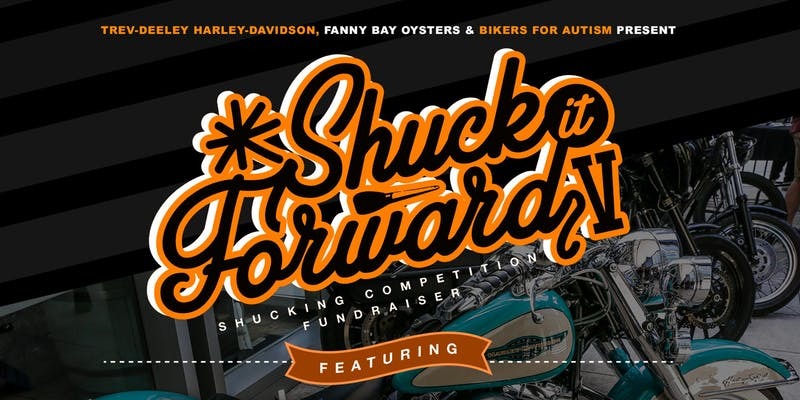 Bikers For Autism is again revving up efforts to raise awareness and funds for individuals and families affected by Autism Spectrum Disorder (ASD) by announcing the fifth annual edition of its flagship Shuck It Forward event taking place at Chewies Oyster Bar in Coal Harbour (1055 West Hastings). Shuck It Forward — which has raised more than $110,000 since its inception in 2015 — is only one of a number of events, programs and fundraising initiatives championed by Bikers For Autism. Last year, Bikers for Autism teamed with Music Heals to hold a music therapy ride from Vancouver to Pemberton that raised more than $70K for ASD-related music therapy programs, and regularly works with support organizations such as the Pacific Autism Family Network, Autism Support Network, SUPA Society, Little Heroes Hockey Academy and ET Music Therapy.